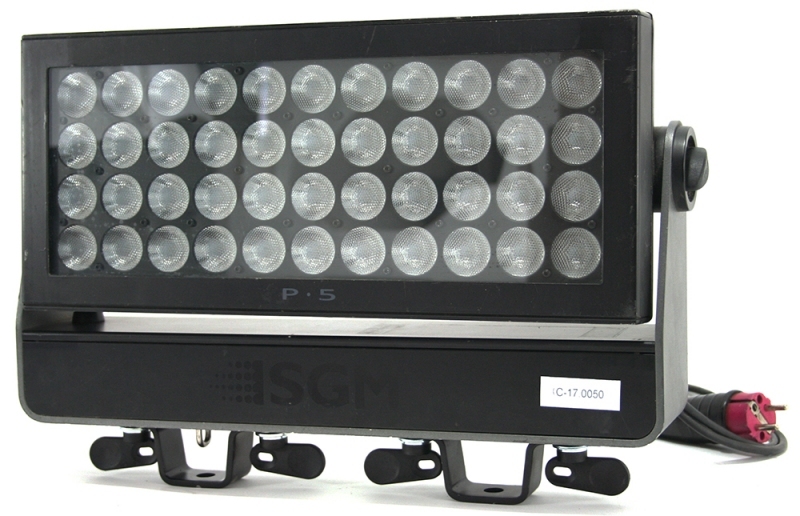 checked and service by official SGM technical department. 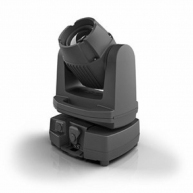 The P-5 has taken the popular Palco 5 as its design base and transformed into an IP65 rated fixture - suitable for outdoor use. 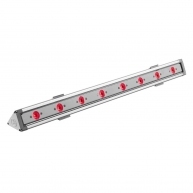 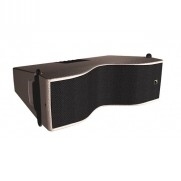 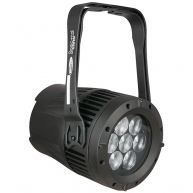 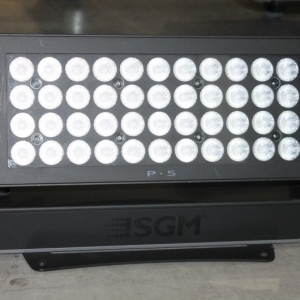 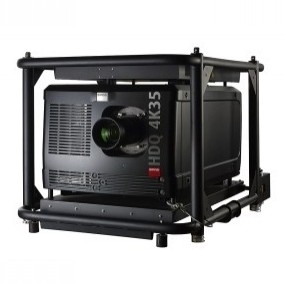 The low-profile fixed, rectangular, full-color LED wash light incorporates 44 x RGBW 10W LEDs. 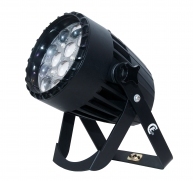 Combined with a small footprint, the power consumption is reduced to just 410W while the LED source life expectancy is 50,000 hours. 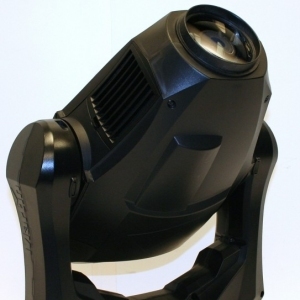 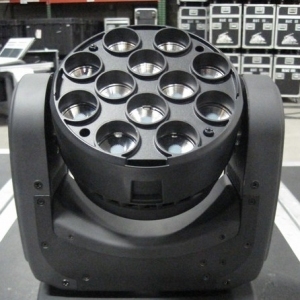 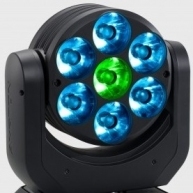 Lenses are interchangeable via 15, 21and 43 lens kits and the fixture boasts 3, 4, 6, 8, 9 or 10 DMX channels. 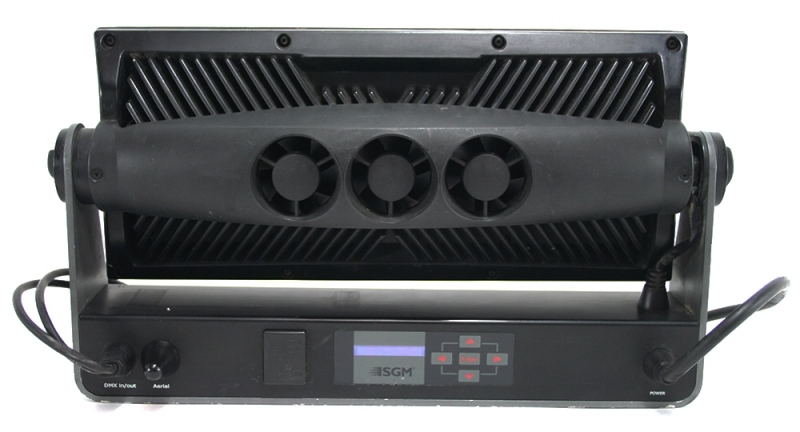 Set-up is via an OLED graphic 5-button display. 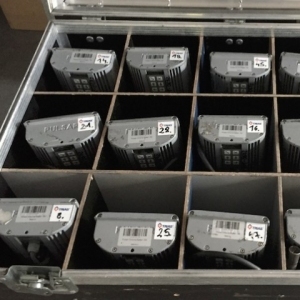 Other features include: a simple menu structure; upgradeable software (via DMX); IP65 rating (IP55 fan module); standard 5-pin XLR for DMX in/out; compact dimensions of (LxHxW) 497 x 268 x 122 mm. 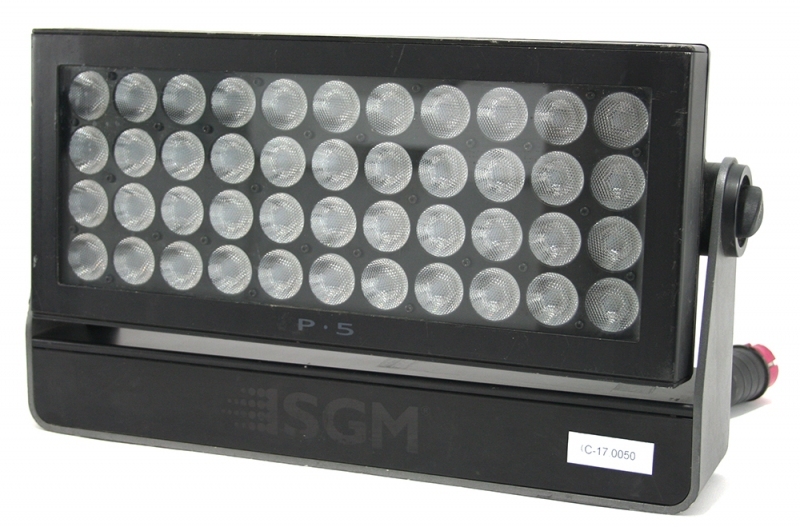 As with all SGMs new LED models, cooling methods have been improved via rectangular heat-sinks, set-up and address procedures improved with the aid of internal diagnostics, and control procedures implemented to ensure flicker-free fixtures. 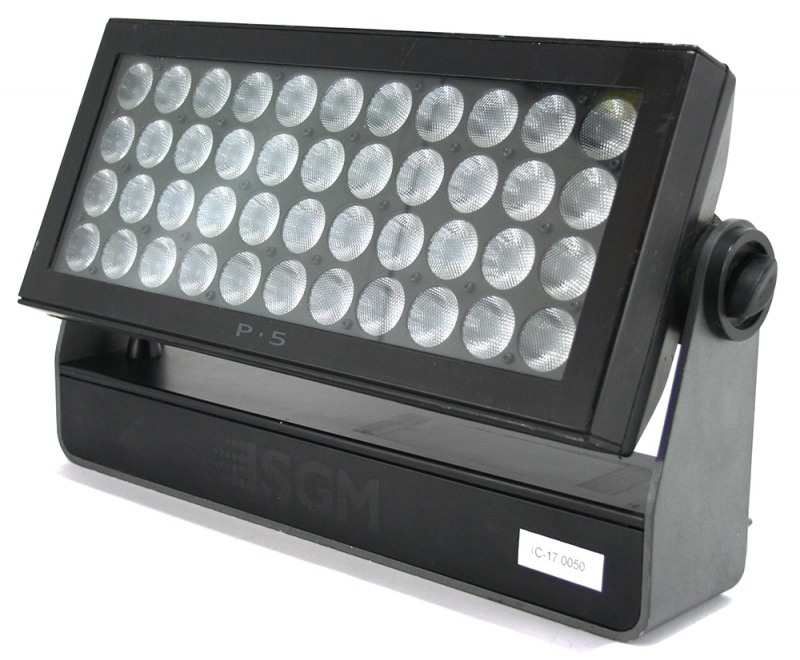 For over 25 years, SGM has been a key international player in the development of 'intelligent' entertainment lighting systems. 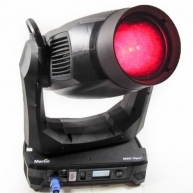 Its success is based on its strong business vocation, its great interest in innovation and its staff's enthusiasm. 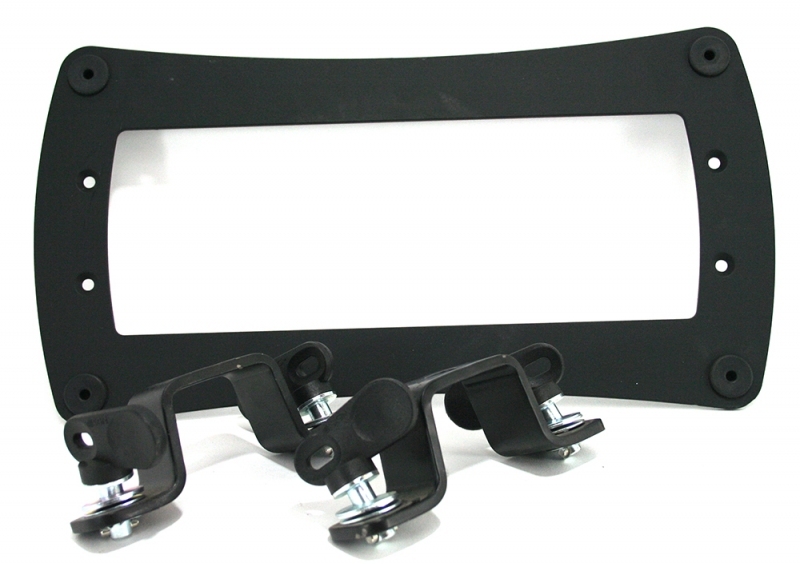 But above all, its choices. 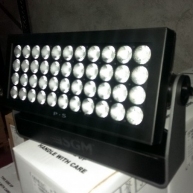 Setting up a Research & Development Centre equipped with the very latest mechanical, electronic and optical processing software, where its technology is designed in-house. 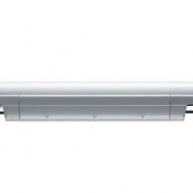 Managing the entire manufacturing process directly, using machinery and control systems of the latest generation. 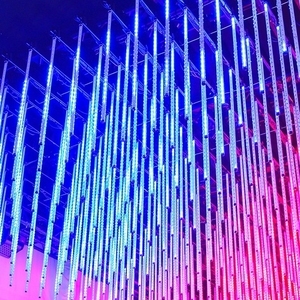 Being 'in the field' worldwide alongside lighting designers, rental firms and installers with its technicians and its sales network, listening to their needs and offering responses made up of concrete solutions and avant-garde products: products with a 'personality' and unique characteristics. 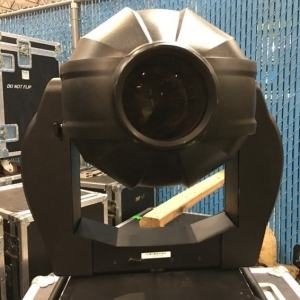 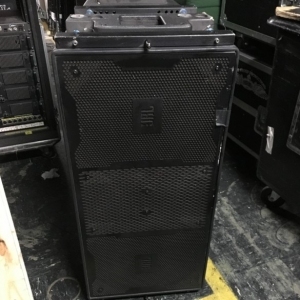 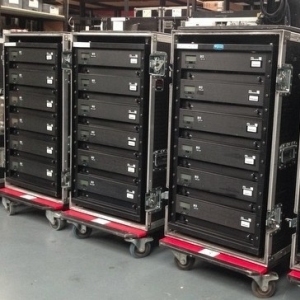 This is why moving head fixtures, scanners, follow spots, colour-changers, lighting control consoles, dimmers, strobe lights and smoke machines with the SGM logo are equally at home on top show events, at concerts or in theatres and television studios. 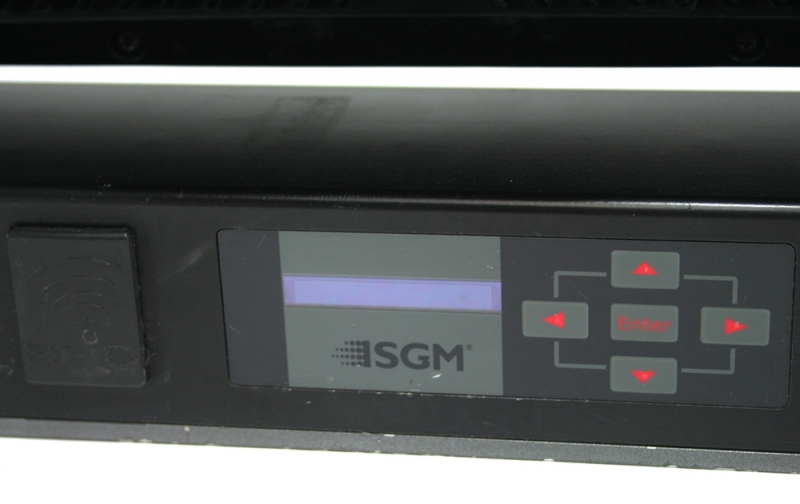 SGM faces 21st century technical and commercial competition as a protagonist, convinced of its present and certain of its future. 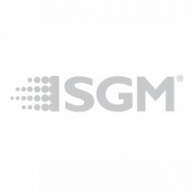 Because SGM's future consists in cutting edge proprietary technology, an innovative approach to product features and great passion for a fascinating job. 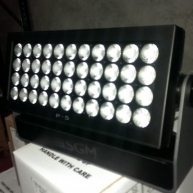 P-5W - Brand new P-5W fixtures from 2014.